The Federal Aviation Administration inspector, who’d been assigned to the carrier for 28 years and had taken an overseas trip with an airline manager, didn’t address what was later shown to be a legitimate tip about how the carrier assured aircraft were safe following maintenance work, the report said. Concerns raised by American’s pilot union, the Allied Pilots Association, went largely unaddressed for more than 18 months, according to the report by the Transportation Department’s Inspector General, which was first obtained by Bloomberg News. It puts a focus on how well FAA is overseeing safety at air carriers, at a time the agency has stressed cooperation with airlines rather than issuing fines or taking other enforcement actions. “FAA’s oversight office for American Airlines lacked objectivity in its review and did not respond to concerns about unqualified pilots and unsafe conditions during maintenance verification flights,” report said. The inspector became “a single point failure” as concerns raised by the union were funneled back to him from the agency and investigations died, according to the report. “This potential loss of impartiality is particularly troubling considering the scope of his responsibilities, including oversight of voluntary safety programs, pilot training, and safety management systems,” it said. In response, the FAA has put several measures in place to enhance safety at American, and agreed to seven recommendations from the IG to ensure its inspectors remain impartial, it said in a letter attached to the report. The agency has a “robust ethics program” and, after the compliance issues were raised by the Inspector General, it brought in a special audit team last fall to review American’s flight-test program, it said. And, while the IG criticized the time it took to reassign the inspector, the FAA said it needed time to conduct the review that led to him being reassigned. The inspector, who’s since retired from the FAA, wasn’t identified in the report. The FAA’s audit of American found the carrier wasn’t following its written manuals, a violation of aviation regulations, according to a presentation summarizing the review. 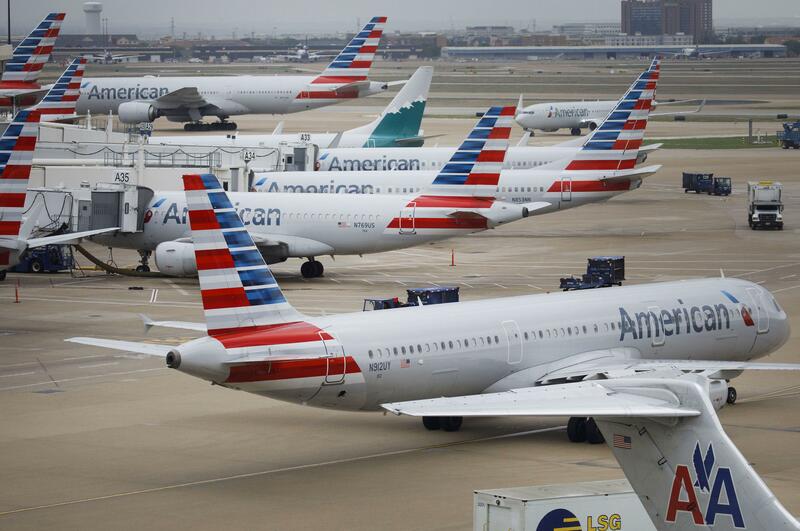 American has cooperated with the review, put the flight-test group under new leadership, and begun a “top-to-bottom internal review,” the airline said in a statement. “Last week, we notified the FAA that we have taken action to address and implement nearly all of the recommendations made in order to follow best practices and strengthen the safety of the program,” the airline said. The findings are reminiscent of a scandal a decade ago involving the FAA after inspectors at Southwest Airlines lodged whistle-blower complaints because their manager had allowed the airline to skip critical safety checks. In 2009, a year after congressional investigators revealed the lapse, Southwest agreed to pay a $7.5 million fine to FAA. The latest investigation focused on a small team of pilots at American who were assigned to test planes after major maintenance or if planes were damaged. No customers are on such flights. Concerns about the program, based in Tulsa, Oklahoma, were originally raised by the APA union in December 2015, the report said. While it was the practice for FAA inspectors to respond to such complaints within two days, the inspector waited more than two months. During that time, he fed the information to airline management, the IG investigation found. Within a month, managers held a meeting with the test pilots and told them they “must stay off the radar.” APA interpreted that as meaning the program would be shut down if complaints continued. The inspector also sought information from American that could be used to discredit the pilots who’d raised concerns, the report said. When the inspector finally set up a meeting with the person who’d signed the complaint, he did so under a procedure usually used for pilots under FAA investigation. The inspector didn’t respond to APA’s request for an explanation, and the meeting never occurred. The APA again raised concerns in a letter to the FAA’s administrator in July 2016, but that letter was routed to several offices until it ended up back with the inspector. The FAA inspector had developed a close friendship with American’s manager overseeing the flight program, the IG report concluded. The inspector made plans, using his government computer and email account, to travel abroad with the American manager and to introduce him to the inspector’s family. The IG’s report comes as the watchdog is separately looking at broader maintenance issues at American and Allegiant Airlines, according to a May 9 announcement. The FAA in 2015 introduced what it called its Compliance Philosophy, a program designed to improve safety by boosting airlines’ own internal reviews and improving trust. Carriers that voluntarily report their own safety lapses and address them can avoid enforcement actions by FAA under the program. The program follows similar cooperative efforts in place since the 1990s to allow pilots, mechanics and controllers who self-report inadvertent errors to avoid FAA enforcement actions. The data from their reports are studied to help prevent accidents. However, some lawmakers have raised questions about whether FAA is being tough enough on airlines. The FAA, which has more than 45,000 employees and a budget of more than $16 billion, has been without a chief since Administrator Michael Huerta departed in January. Daniel Elwell is the acting administrator. Published: July 12, 2018, 10:20 a.m.